Are you baffled by why your marketing campaigns for your daycare center haven’t netted you a large upswing in little tikes (a.k.a. clients)? Or have you yet to begin a solid marketing campaign, fearing that you can’t spare the resources? If either of these scenarios applies to you, or even if you think you’ve got it covered, we suggest you read on for some helpful ideas to increase the effectiveness of your marketing efforts. You’re not marketing to children. You’re marketing to their parents. Maybe you have printed flyers or postcards in the past and wondered why they didn’t generate a huge response. If your flyer was filled with unicorns and teddy bears and carried little gripping information about your center, we have a clue why. Parents these days don’t want to hand over their children to a daycare center that’s simply filled with a bunch of toys. They want to know what kinds of mind stimulating activities children engage in at your center. 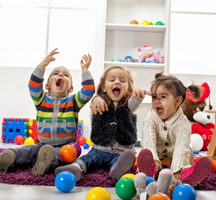 They want to know how your center nurtures the whole child – what kind of “holistic” approach you take to daycare. They want to see awards, accolades, and statistics. Make sure your flyers and other marketing materials show how seriously your daycare center takes the responsibility of participating in raising people’s children. On your printed ads, flyers, brochures, EDDM, and postcards you’ll want to feature some reviews of your center, preferably from trusted people in the community. If you have ties to the local chief of police or a local school principal, ask him or her to swing by and offer his or her comments on your facility. 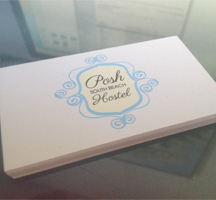 With permission, quote your acquaintance on your printed marketing materials, and on your website. If you’re contending with a number of other daycare centers in your neighborhood, or even just one, do a little reconnaissance. You can get all private investigator on this task and have a little fun with it. Send a trusted friend with his or her child to check out the place, the number of staff per child, the environment, the learning tools, and to get a list of pricing options if one is not available online. This will allow you to not only get a sense of what you’re up against, but it may make it stand out in your mind what strengths set your daycare center apart from the rest. Maybe you have more “teachers” per child, maybe your staff is better qualified and educated, your hours more flexible, or maybe you have a superior art program or sports area. 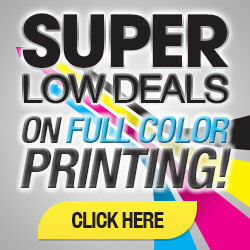 This will help to direct your print advertising; you can design custom flyers that highlight these strengths by making claims you can back up. It may also give you ideas for simple improvements you can make to your business or adjustments you can make to your pricing to make your operation more competitive. You hired your childcare staff because you had confidence that they would be great representatives for your business. Take advantage of this by giving them personalized business cards they can hand out to people they meet when they are out in the community. If you have a truly wonderful staff, they can be your best marketing tools just by being themselves when they’re out and about around town. If you don’t have a truly wonderful staff, on the other hand, you’ll probably want to do some firing and hiring if you plan on having an enduringly successful childcare center with smart marketing for your daycare center.